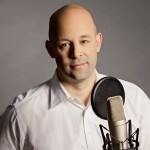 Jonathan West is a passionate about a few things, including two of our favourites, hockey and radio. We eliminated all the hockey talk from the podcast but I will bring him back at some point on “The Other” podcast to chat it up in February when the playoff races take hold. It was good to catch up with Jonathan at the Conclave, and he mentioned he was going to be at Morning Show Bootcamp, so he promised me an update on that and I would pass along my Podcast Movement notes to him. Aside from being a talented radio personality, Jonathan is also a great hockey writer, which is where I first encountered his work. Californian born, southern raised and a hockey goalie. Quite the mixed bag. He’s covered a lot of hockey and pointed out that 13 of the 14 outdoor NHL Classics have ended in losses for the home side. Sorry gang – this podcast is all radio and music. And we had some “real talk” about our business which says that it believes in talent, yet 4 in every 10 on air personality goes without an air check. We think that is unacceptable and if you don’t get regular air checks, you can come to Canada where the health care is free – and the air checks are free. This episode is powered by nLogic.